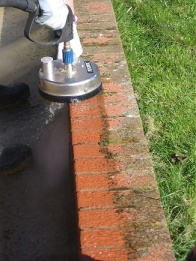 Outdoor Restore use a high powered jet wash machine producing up to 3600psi at 15 litres/minute (this provides about 6 times more cleaning power than your domestic type pressure washer) coupled with a purpose made rotary surface cleaner to deep clean almost any outdoor hard surface including block paving; tarmac and concrete driveways; walls; paths; patios and decking. 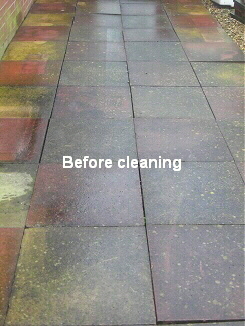 Our system provides a deep clean unobtainable with a domestic pressure washer to remove surface grime, tyre marks, weeds, algae & moss to leave the surface looking like new. 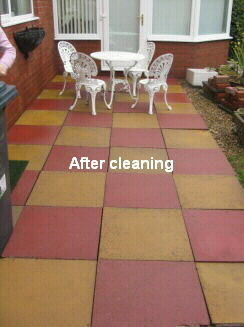 We can also treat oil stains, remove chewing gum and graffiti. Once clean we can treat the surface with an algaecide/fungicide to help deter the return of algae and lichen, keeping the surface cleaner for longer. 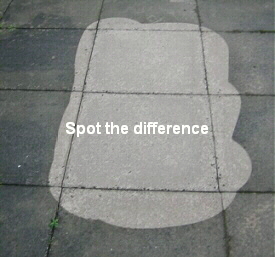 Contact us now to arrange a free no obligation demonstration and quotation – You’ll be amazed at the difference.